Tropical rainforests have always appealed to our imagination. Possibly because they are so rare. Or maybe because we find the exotic aspect too fascinating for words. We are amazed by the incredible biodiversity in these forests as well as by the overwhelming plant growth. And this was our greatest source of inspiration for this collection. The large leaves of the banana tree are easy to recognise. We all know this plant but unfortunately it only thrives in a warm climate. But don’t we always dream of what we can’t have? 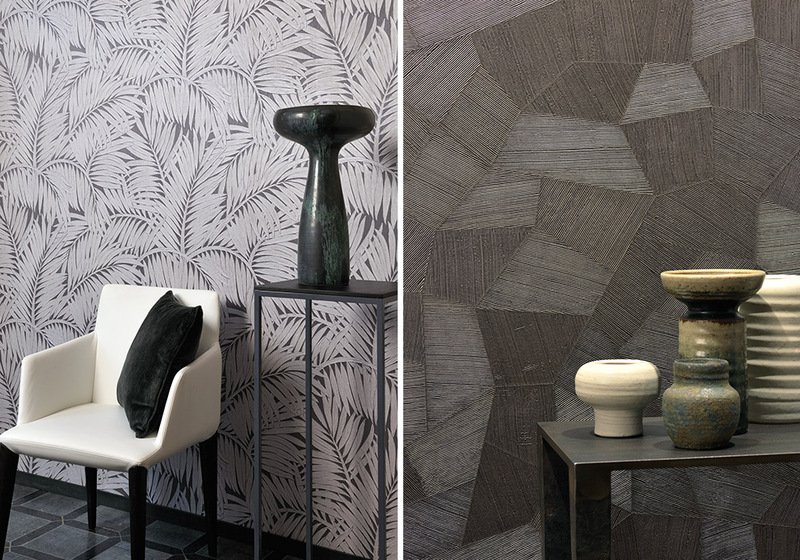 Musa, the name of this reference, like the real thing, is an overwhelming pattern, which exudes a primal force. 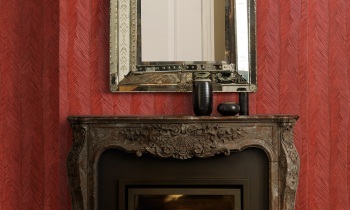 This wallcovering will definitely add some character to your interior. 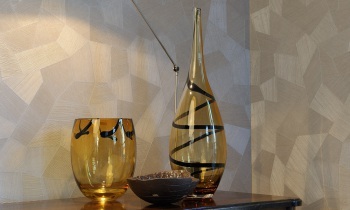 There are two matte options, the other wallcoverings have an opulent metallic sheen. Our second pattern is called Sabal and refers to the graceful leaves of the eponymous palm tree. Just look at these large, waving palm tree leaves and you will experience a sense of tranquillity. They overlap, like in nature. Look up and you will see a dense canopy of leaves above your head. Sometimes the sun’s rays briefly break through. And we make our way even further into the jungle. 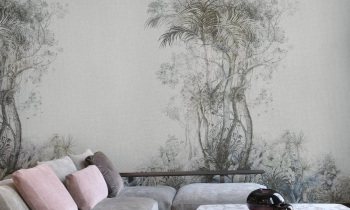 The third pattern in this collection is also a plant print, featuring the elegant foliage of the Itaya. The ribs are much more delicate but just as stunning. Depending on the colour you choose, the pattern will have more or less contrast. Truly fascinating. 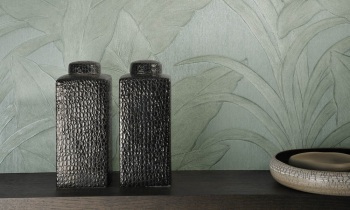 Besides all the large leafy patterns the collection also has a surprisingly delicate pattern called Mosaic. A small, peaceful pattern made of soft squares.Without sharp edges or corners. Instead they are rounded off and loosely-drawn. As if they were manually stamped on the paper. The colours also seem to dissolve slightly, creating a fade effect. Finally there is Facet. You can really use this lovely pattern in any interior, which is why it is perfectly suited to this collection. Think of it as a design, but also as an assemblage of lines. By combining these line combinations at different angles you obtain a fascinating spectacle and an interesting relief. Moreover, the lustrous finish challenges the light, absorbing or reflecting it. The colours in this collection are bold, albeit also quite “natural”. They come in various gradations. White, grey, gold and green, red and dark grey and even orange and purple. These are in fact the actual colours of the rain forest. Just think of the most beautiful flower we know, called Crane Flower or Strelitzia. A stately and sturdy flower, which resembles a bird’s head, with its large purple-yellow blooms. Arte has added an extra to this collection. 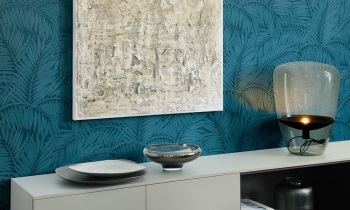 Tropic comes in extra large dimensions for an even bolder panoramic effect. Available in silver and gold.